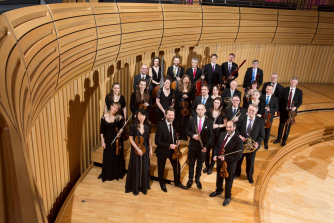 Royal Northern Sinfonia is the UK’s only full-time chamber orchestra and the leading professional orchestra in the North East. For 60 years, Royal Northern Sinfonia has been delighting audiences across the region and beyond and truly is a local chamber orchestra with a global reputation. This afternoon, Bradley Creswick directs an Italian themed programme which culminates with Mendelssohn’s Symphony No. 4 and his romantic response to the colour and atmosphere of Italy, which the composer described as “the happiest piece I have ever written”.